A relatively new group which still has space for a few more members. Some bring their knitting and crochet and just enjoy the like-minded chat. 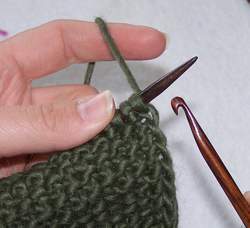 If you would like to learn to knit or crochet, we can help you with that. At the moment we are using up all our leftover wool to make such things as squares for blankets, tiny clothes for premature babies and warm hats for our troops. I think this project will last forever!